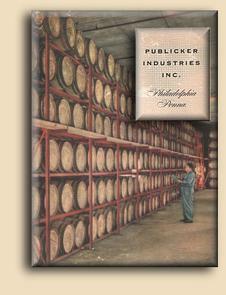 "June 16, 2006, Continental Distilling Corporation Publicker Industries, Inc. Philadelphia, Pennsylvania." N.p., n.d. Web. <http://www.ellenjaye.com/pub_publicker.htm#snyder-swanson>. Ditzes, L. Stuart. "How A Blue-chip Empire Became A Superfund Scourge." Philly-archives. N.p., 07 Jan. 1990. Web. <http://articles.philly.com/1990-01-07/news/25909504_1_publicker-industries-hazardous-waste-national-priorities-list>. Editors, Fortune. "Who Is Publicker? (Fortune, 1933)." Fortune. N.p., 23 June 2012. Web. <http://fortune.com/2012/06/24/who-is-publicker-fortune-1933/>. Farrell, Alexander E. "Overview of the Superfund Program." Reclaiming the Land (n.d.): 25-47. Web. <http://www.ellenjaye.com/pub_epa-summaryreport.pdf>.